The Maurice A. Deane School of Law at Hofstra University announced that Christopher J. Caruso ’00 has been named Associate Dean for Career Services. Caruso, who received his J.D. from Hofstra Law in 2000, was most recently a partner at Moses & Singer LLP. Caruso has deep roots and years of dedicated involvement in Hofstra Law’s extensive alumni community. For the past five years, he served as president of the Hofstra Law Alumni Association and as a member of the Dean’s Advisory Board. 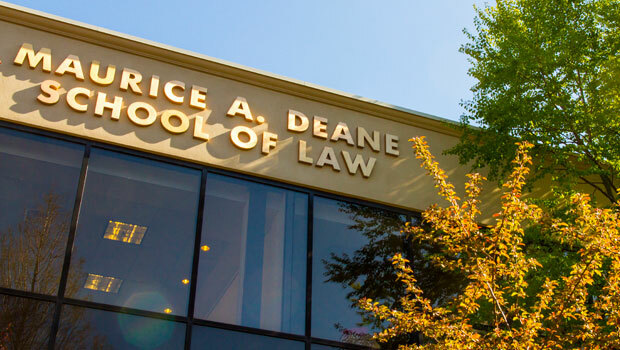 Reporting directly to Dean Lane, Caruso will oversee the marketing of Hofstra Law and its students to all segments of the legal community by proactively building strategic relationships with employers and with alumni to further enhance students’ employment opportunities. His hiring is part of a reorganization of the Office of Career Services to emphasize an outward focus on job placement. As president of the Alumni Association, Caruso oversaw the restructuring of the Alumni Association and established committees focused on career services, development, diversity and enrollment management with the goal of having alumni be directly involved with key areas of the Law School and be a resource for incoming and current students as well as alumni. For example, there are now 24 active members of the career services committee who work closely with the Office of Career Services to better meet students’ needs. Caruso is a 1997 graduate of Hofstra University with a B.A. in economics. After graduating from Hofstra Law in 2000, he began his legal career as an associate at Fried, Frank, Harris, Shriver & Jacobson LLP. For the last 10 years he has been at Moses & Singer LLP — most recently as a partner — in the practice area of business reorganization, bankruptcy and creditors’ rights.